Emilia Galotti; a play as well known as Hamlet in its native Germany, tells the tale of power and lust in the Royal Court of Italy. Now playing at the Barons Court Theatre, director Dr Mark Ewbank offers a new adaptation of the R. Dillon Boylan’s 1878 translation with a contemporary touch to a classic tragedy. The play of five acts tells the story of the beautiful, virtuous Emilia due to be married to Count Appiani and the lust of the Prince of Guastalla who is determined to make Emilia his lover despite merely a brief encounter. Gonzaga gives his scheming Chamberlain, Marinelli, the power to do anything to stop the marriage and anarchy ensues. I was expecting a drama and that is certainly what you are given. The cast are resilient in their performances, immediately characterising their roles in presence and conviction. The standout pair for me are Che Watson as the Prince and Samuel Haughton as Marinelli. They play opposite each other with great success. Watson, as the first on stage, immediately captures you in his performance as the gawky, lustful Prince. Haughton as Marinelli is the perfect villain; sly and cunning oozes from his speech and movement and the occasional comic line is delivered with precision, adding depth to his malevolent character. 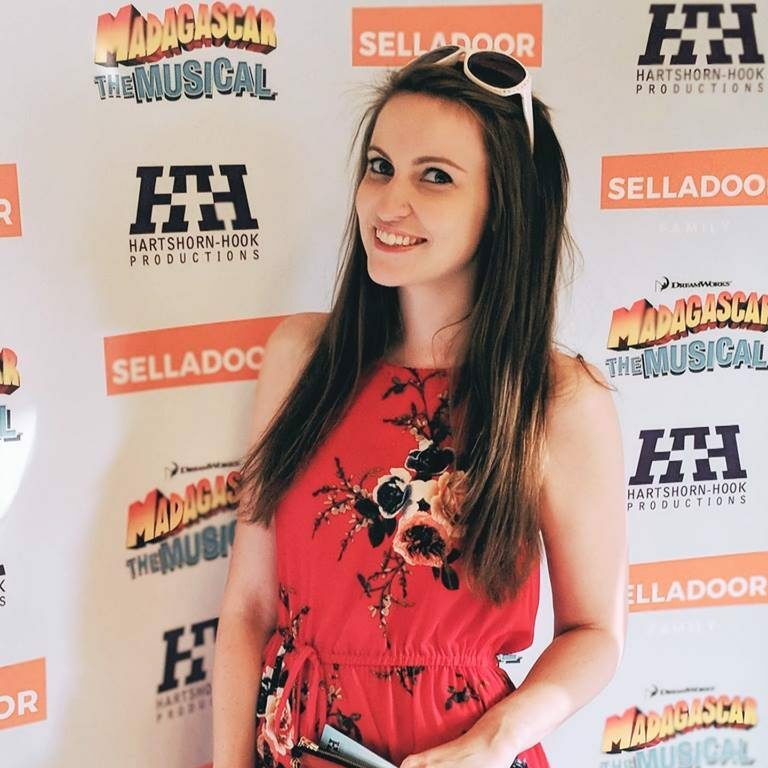 Roseanne Lynch is the likely Emilia, portraying the naivety of the young girl with ease. Francesca Burgoyne cleverly depicts Corsina’s jealousy and conniving nature, however I was not quite convinced by her love for the Prince which would have been lost in words if your attention dropped for a second. Debut performer Peter Wheal-Jones as Eduardo Galotti gave a mighty presentation for his first play, albeit a few stumbled words which will smooth out in time I am sure. The play is simply set with few props but the stunning period costumes are enough to bring the era to life. The quirky Barons Court Theatre, hidden downstairs in what seems to be an old cellar, only adds to the setting. The stage is beautifully framed by brick pillars and the seating surrounds the platform creating a real intimate atmosphere. However, be wary of stray bags and legs – the cast make full use of multiple entrances and exits in this surprisingly spacious cellar! If you are looking for an easy night at the theatre, then this isn’t for you. This a clever play which needs attention but it completely delivers if you have the patience to engage in the language and nature of the time. Emilia Galotti has a stimulating script with themes that run parallel to modern politics and relationships, brought to life by a strong cast who will reward you with their craft if you are prepared to immerse yourself. 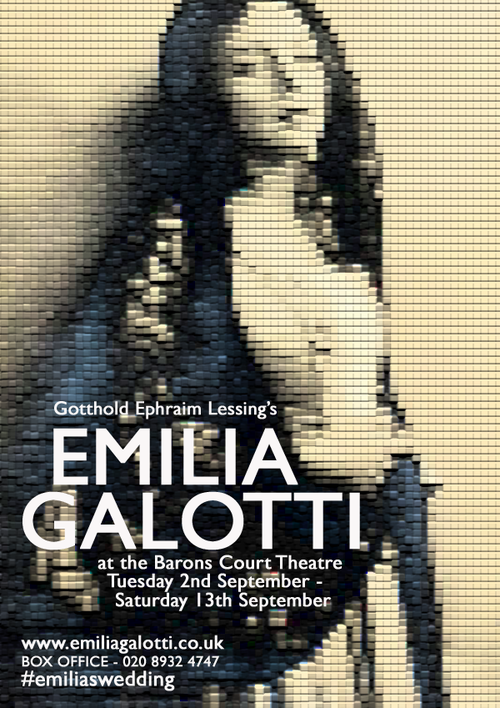 Emilia Galotti plays at the Barons Court Theatre, London until Saturday 13th September. Tickets are available here.